Did you see the Globe this week, with its article proclaiming: “Reproductive rights advocates in Massachusetts and across the country are launching aggressive campaigns for the new year?” That is putting it mildly. 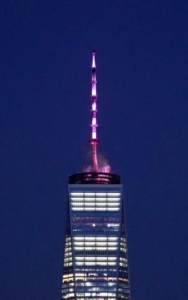 On the Anniversary of the Roe v. Wade decision, the governor of New York celebrated his signing of a radical new pro-abortion law by ordering the spire on One World Trade Center lit up in pink. Then, on Wednesday, the governor of Virginia, a former pediatrician, said on the radio that under an abortion bill he supports, “if a mother is in labor, I can tell you exactly what would happen, the infant would be delivered. The infant would be kept comfortable. 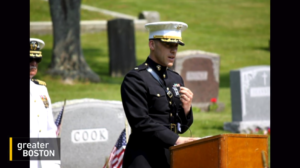 The infant would be resuscitated if that’s what the mother and the family desired, and then a discussion would ensue between the physicians and the mother.” That “discussion” would at that point be, by definition, about infanticide. Apparently, abortion advocates are not even disguising it any more. There are other changes as well, with one of the most appalling being the elimination of a requirement to “preserve the life and health of the aborted child” when an abortion is performed at 24 weeks or beyond. To be clear, this means allowing abortions on clearly viable babies with NO requirement “to preserve the life and health of the aborted child“ either during the delivery or once they are outside the womb and still alive (AKA “born”). A 2015 study in the New England Journal of Medicine shows that children born at 24 weeks of gestation, if given active medical treatment, have a survival rate of over 50%. At just 25 weeks, that jumps to 72%. Under this new proposed law, those babies’ chances of survival from an abortion effectively drop to zero. To be clear, what these politicians are pushing for in Massachusetts, is the killing of viable unborn children for virtually any reason. Rest assured, we will continue to track this new legislation, keeping you posted and fighting for the preservation of life in our Commonwealth. Also this week, I was interviewed for Wednesday’s WGBH TV segment on transgenderism in the military. You know where MFI stands on this issue, and I’m grateful that both the Commander in Chief and at least some judges in the federal judiciary agree. As you can see from host Jim Braude’s bitter non sequitur against me at the end of the segment, our belief that biology, genetics, anatomy and physiology (formerly known as “science”) actually matter is unacceptable in the face of this new cult of transgenderism. And the media elites can’t seem to find any double standard in their belief that the “right to privacy” for women includes killing their unborn child, but NOT the literal privacy of showering or rooming without an unwanted male presence. This failure of the national and local media to report fairly on social issues is part of the reason we are working to expand our capacity at MFI to get the truth out. You can always read or forward past e-alerts on our webpage here, and we’ve started a new in-depth podcast series which you can stream or download here. Our best ally in the local news, the New Boston Post needs your help to keep reporting on the stories that the Globe and others won’t cover, and they do it for 1/60th the cost! You can subscribe here if you haven’t already. Finally, in April, MFI will be announcing an exciting new addition to our pro-family media presence, so stay tuned for that. Have a great weekend!